Earlier in the day, news rocked Akwa Ibom state capital of possible defection by the sitting PDP governor of the state, to the opposition party APC as reflected in one of the tabloids in the state. But the state government was quick to clampdown on the news, declaring it false. Our attention has been drawn to a banner headline with the above caption in the Midweek edition of the Global Concord newspaper, a local tabloid published here, in Uyo, Akwa Ibom State. We would, as we always do, have ignored the story as yet another cocktail of lies the publication usually serves its readers, but for the malicious intent of the sponsors of the article. We wish to state categorically that His Excellency, Governor Udom Emmanuel has never entertained for a nanosecond the thoughts of joining the APC. He will NEVER join the APC. He is a committed, nationally celebrated and recognized member of the Peoples Democratic Party (PDP). He has contributed in no small measures to the resurgence of the PDP, which has seen the party record a gale of defections across the country to the eternal grief of the APC. 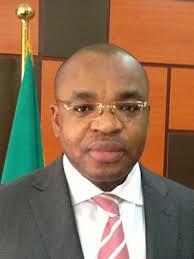 Governor Udom Emmanuel has stated at different platforms that he is, body, spirit and soul PDP and that passion and commitment has translated into the overwhelming support the political establishment and the good people of this this State have shown him, since certain individuals decided to pursue their political interest elsewhere. We call on the good people of Akwa Ibom State and Nigerians in general to dismiss the story for what it is: an evil and vile propaganda. Governor Udom Emmanuel will win convincingly at next year’s gubernatorial election to continue his superlative performance and the party that will guarantee him the victory, as it was in 2015, shall remain the PDP. Akwa Ibom State is PDP and Governor Udom Emmanuel remains PDP for life.